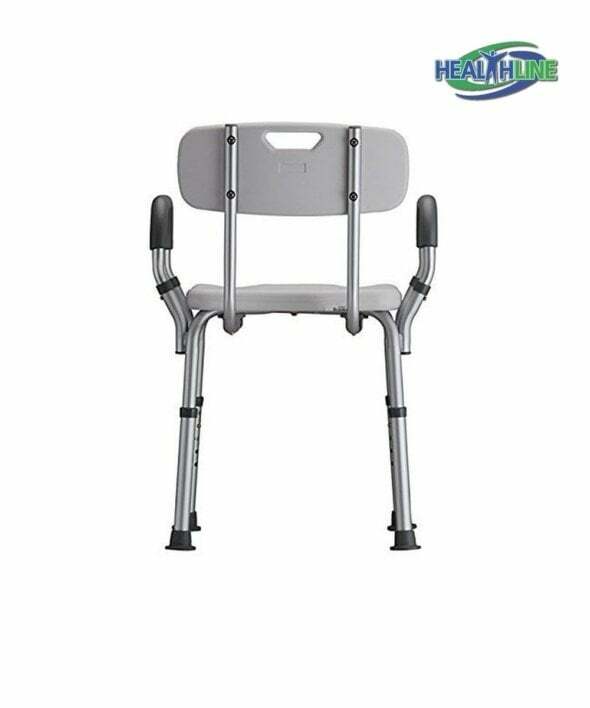 The bath seat shower mobility aids with armrests provides exceptional stability and support during bath time activities. 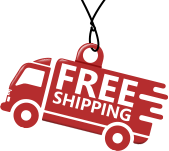 Perfect for people with mobility issues, limited range of motion, post surgery and bariatric patients during recovery process. 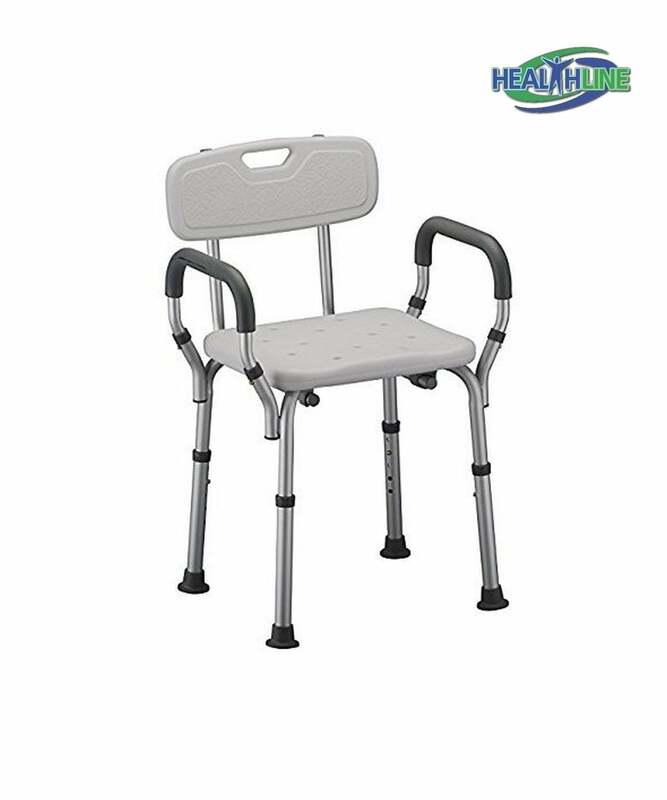 Ideal for nursing home caregivers and their patients. Made of durable aluminum alloy frame and blow molded medical grade plastic, this bath bench with back and arms can fit practically any bathtub or shower spot. Special draining holes situated liberally on the wide and comfortable seat provide quality evacuation of extra liquid to prevent slip and fall during the bath or shower process. 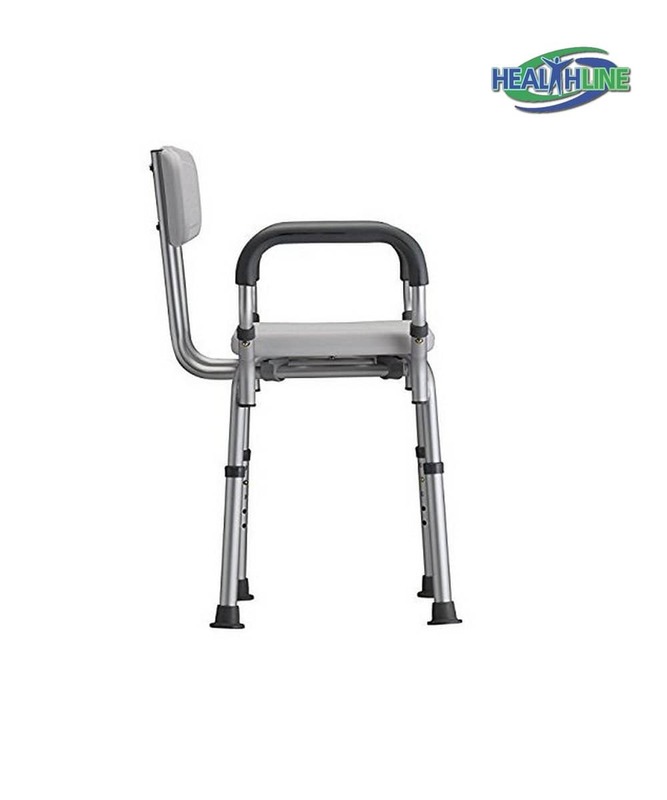 Made of durable and sturdy materials this product can bear up to 300 pounds of weight providing excellent stability and security for the user. 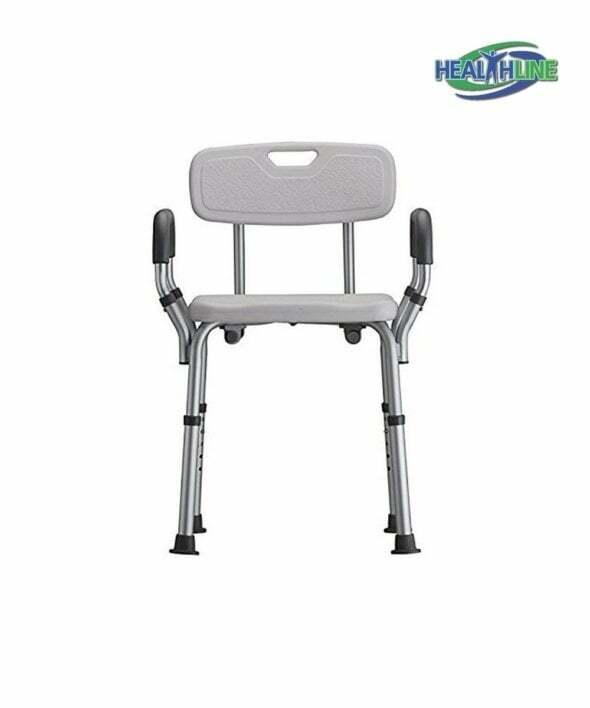 Bath shower bench with arms has a specifically engineered structure that requires no tools for assembly, takes little to no time to take apart or put into storage. Weighing only 7 pounds, this convenient bathroom accessory is integrated with two durable handles to facilitate the process of entering and exiting the shower area. Corrosion resistant stable frame of the product and wide seat maximize control and safety while the bathing process lasts. A suction cup on each leg provides slip free security in the bathroom.